An open gothic iron-work lattice or grill design, common in medieval era Europe. 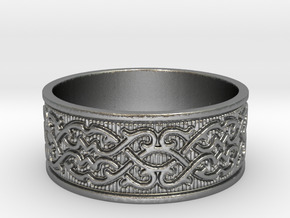 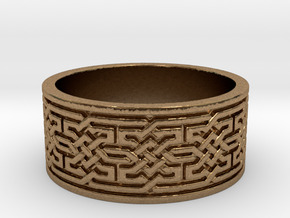 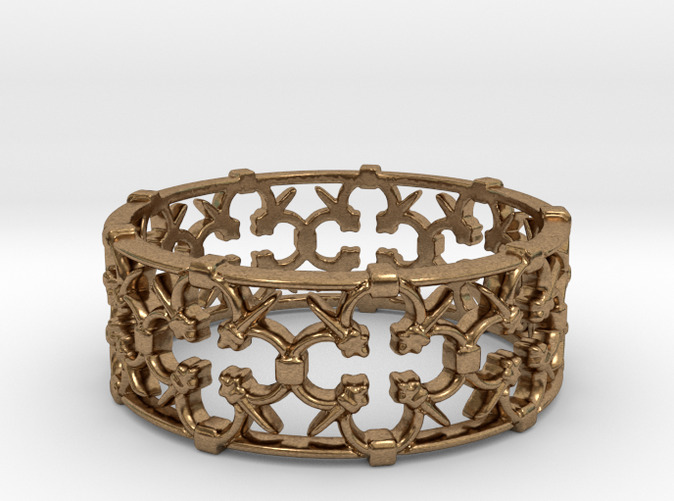 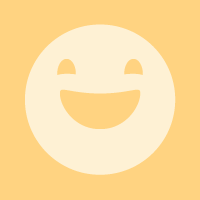 Check my other Shapeways items for this same design, but with a flat background behind the lattice. 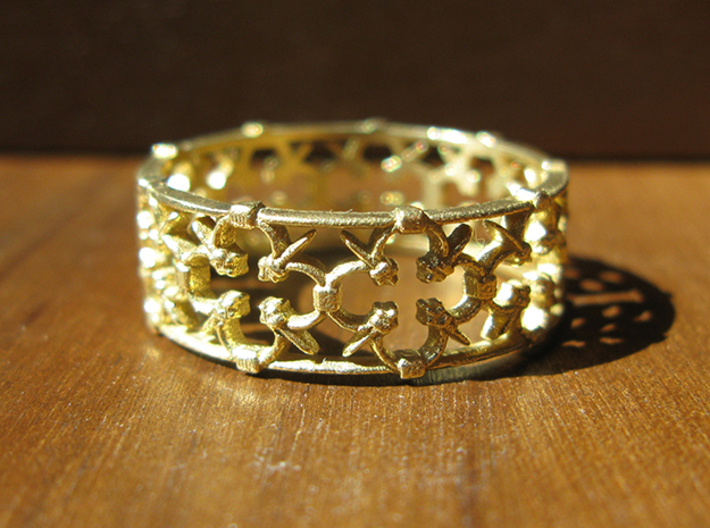 My ring designs are inspired by art and architectural forms, typographic ornamentation, and classical patterns. 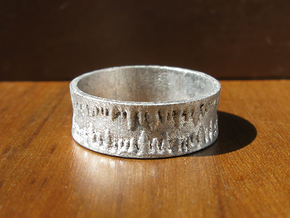 All of them are scalable to any standard ring size—contact me if you would like a Shapeways listing of this design in your size.